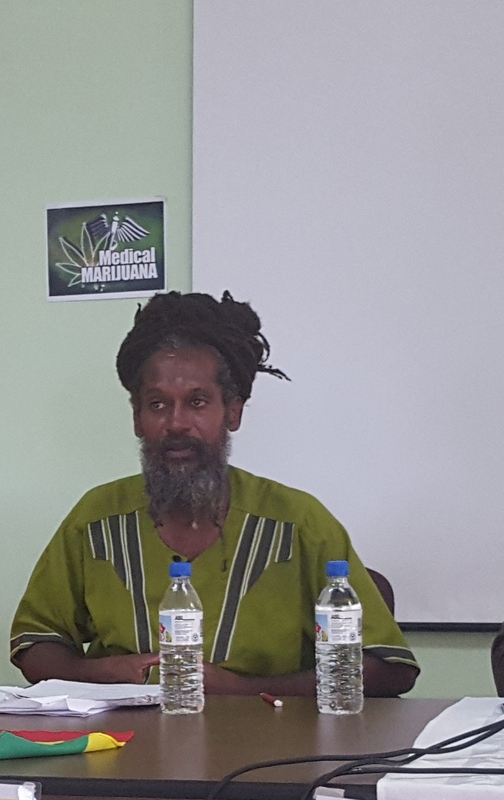 BASSETERRE, St.Kitts– The Organisation of Rastafari in Unity, during a press conference held on Monday 22nd August at NEMA Headquarters in Basseterre, put forward a view that St.Kitts-Nevis as a Christian society is being hypocritical in outlawing marijuana, a plant created by the Almighty. That point of reasoning was expressed by Ras Sankofa who also criticised how the judiciary system handles individuals labelled offenders of the Drug Act using heavy fines and imprisonment. “If the Almighty gives us something for our use and we use it, how are we committing an offense?” was one of the questions he posed. In his remarks, Ras Sankofa shared that he too had been dealt a punishment in the past having been jailed for such an offense. As many people are aware, marijuana is widely used by Rastas as a sacrament for holy purposes. He separated marijuana from being classified as a drug among those two other plants by talking about its use in its natural state. He also talked about the lump sum monetary penalties. He mentioned that a young man from his community is currently facing a similar situation in that regard. Other presenters at Monday’s press conference included Internal Medicine Specialist Dr. Terrance Drew and Former Permanent Secretary in the Ministry of Agriculture on the sister isle Nevis Dr. Kelvin Daly. Today (Friday), the Rasta organisation group is scheduled to hold its annual march through the streets of Basseterre, starting at 4PM from the Greenlands area and climaxing at the Independence Square with a rally.